MRCP is a membership with the Royal College of Physicians in the UK and Ireland. It only allows you to gain specialty training in the UK and after that pursuing a career. 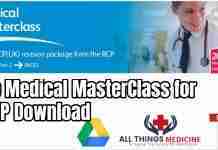 You can take your MRCP exams only after your bachelor’s degree. Know more about MRCP by clicking the link at the end of this article. 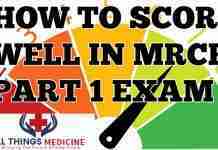 After MRCP you have to follow the following path. You can work as a senior house officer in the UK after completing your MRCP diploma. You work under supervision and learn the basic methods and approaches that will help you in your career. It is the same as a house job after MBBS (or any bachelors degree) in another country. It is a two-year program. House officers usually get paid around 26,614 Euros per year and this increases by around 2-3 thousand Euros in the 2nd Foundation year. You are placed in different specialty rotations. Each specialty taking usually 4-6 months of your time. At three points in your time, your progress is assessed through an assessment named Annual Review of Competence Progression (ARCP). 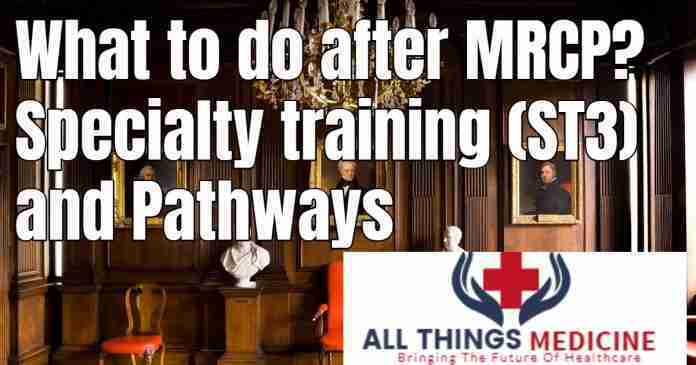 You can enter a specialty after your Core medical training only after you pass your MRCP exams. 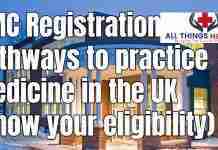 after your CMT or SHO, You can apply for a specialty training program (Only after also passing MRCP exams) in the UK. This program basically is your final step towards achieving the Certificate of Completion of Training (CCT) which entitles you as a specialist and allows you to practice as a consultant surgeon. ST3 is usually a 4-6 years training in the particular specialty that you choose for yourself. You can apply for this through vacant positions in the newspapers or online for your specialty. You can apply for the vacancy after or during your 2nd CMT year. Pay scales for ST3 in different specialties differ in various hospitals but average around 35-39 thousand Euros per year. LAT-Posts these are of short duration usually 6-12 months and are only available in Northern Ireland, Wales, and Scotland. These are just a bonus point for your CV into getting an NTN-Post. How to apply – applications should be made through the Oriel System. Information and documentation required – the application form requires you to enter a substantial amount of information about your career, experience and achievements to date. Additionally, you will be required to prepare a large amount of documentation for the interview to demonstrate your eligibility and evidence your achievements. It is advisable to familiarise yourself with this so you can ensure you have everything you need. The application is submitted online and requires you to provide all your current qualifications and documents. After submitting your application, it is analyzed, whether you are fit to be eligible or not and upon success, you will be sent an email about the acceptance of your application. Your application is scored and your application is checked upon the interview by the interviewers that whether you have claimed false or true achievements. You can be punished in several ways for false submission so do not falsely. Only submit completed achievements, you can not add or edit more achievements after you have submitted the application. You can only add them during the interview if you achieved more in between the application submission and interview date time. Each interview is different according to the specialty chosen. The interview is a three station format. Every station will have 2 consultants at it who will test your skills and knowledge regarding the specialty. Only one station will check your application and documents where you can add your recent achievement which you did not submit in the original application. Your scores are marked upon your answers at different stations upon SIX different aspects regarding your specialty. Each mark is scored between 1-5 and so the total marks for all six aspects are 60. Your marks will have the highest weight on whether you get the post in the end or not. There are 2 rounds of ST3 posts available each year, Round 1 is the one described above and contains posts for all specialties. Round 2 opens after some time and is for specialties and posts that were left unoccupied in round 1. The procedure for both is the same. Besides all these, there is one final thing I would like to share. This is an examination that aspirants can take after their specialty training. This has a very high weight on your core CV for job applications and may just be the defining factor between you and your favourite ST3 specialty. All the info about SCE from what it is to how to apply is given below with others.